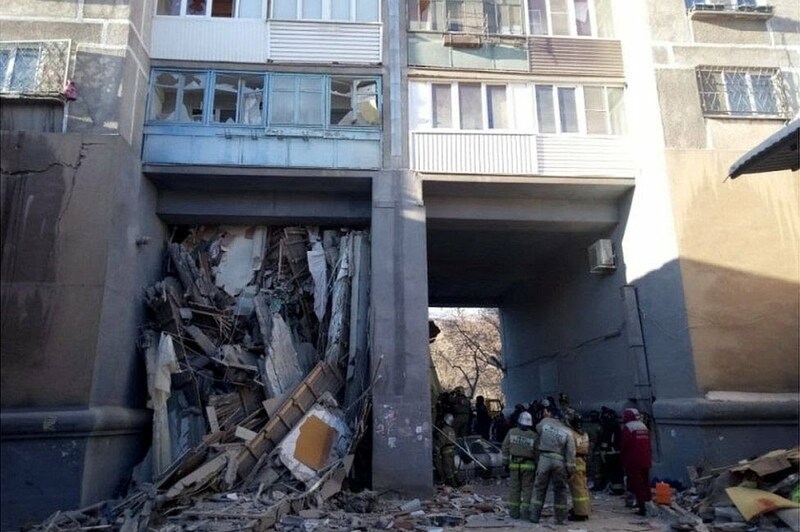 Russian rescuers in the city of Magnitogorsk have pulled an 11-month-old baby from the rubble of a block of flats hit by an explosion on Monday. The boy, named Ivan, has serious frostbite, a head injury and leg fractures, and will be sent for treatment in Moscow. He is said to be in a “very serious” condition. Ivan was partially clothed when found, in a city where the daytime temperature is around -17C. The Russian emergencies ministry said the baby’s mother had also survived and had arrived at the hospital to visit her son. 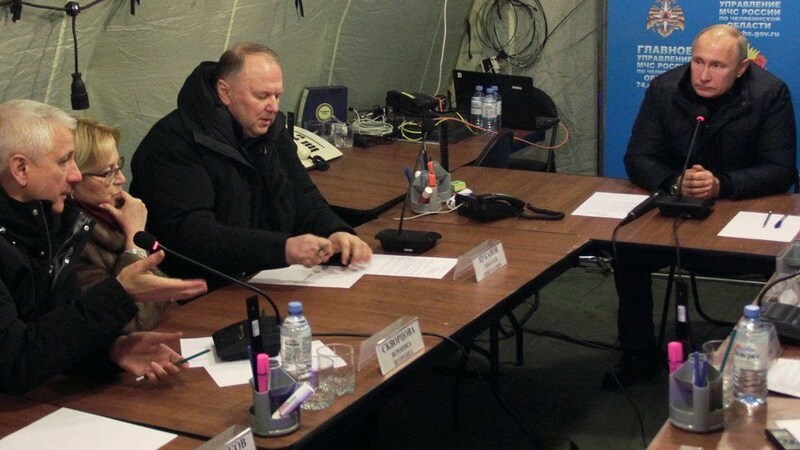 Chelyabinsk regional governor Boris Dubrovsky reportedly said on his Telegram channel that rescuers “heard crying”. Eight bodies have been found so far in the ruins of the apartment building, amid fears the death toll will rise. 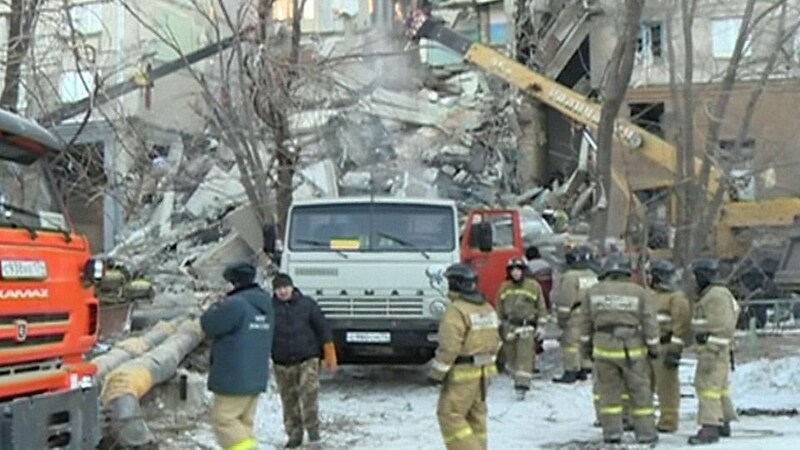 Officials in the Urals region city blamed a gas leak for the blast. Around 36 people are still missing. Authorities earlier announced they had halted their search for survivors until the unstable building could be secured. 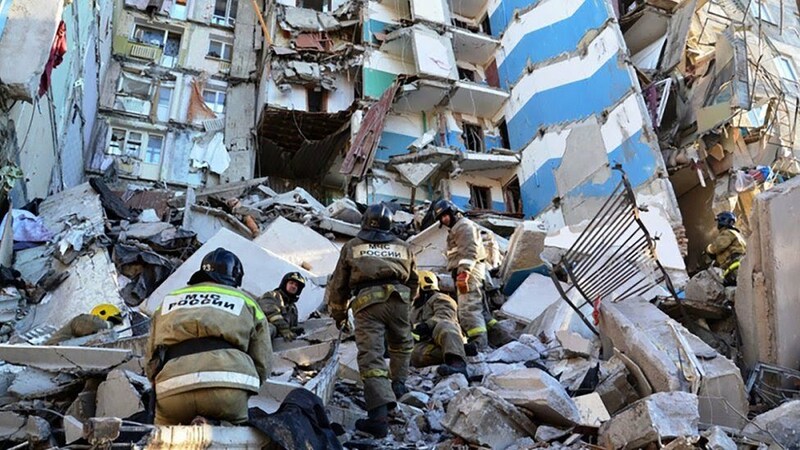 “It’s impossible to continue working in such conditions,” emergencies ministry head Yevgeny Zinichev reportedly said, citing a “real threat of part of the building collapsing”. It will take about 24 hours to secure the building, the BBC’s Sarah Rainsford reported at around 13:00 local time (08:00 GMT) on Tuesday. Authorities are in a race against time to find survivors, with temperatures expected to fall further overnight. Another witness spoke of a “wave of fire” which followed the explosion. Russia’s Vesti news channel says more than 50 of the block’s residents have been accounted for, including the victims. 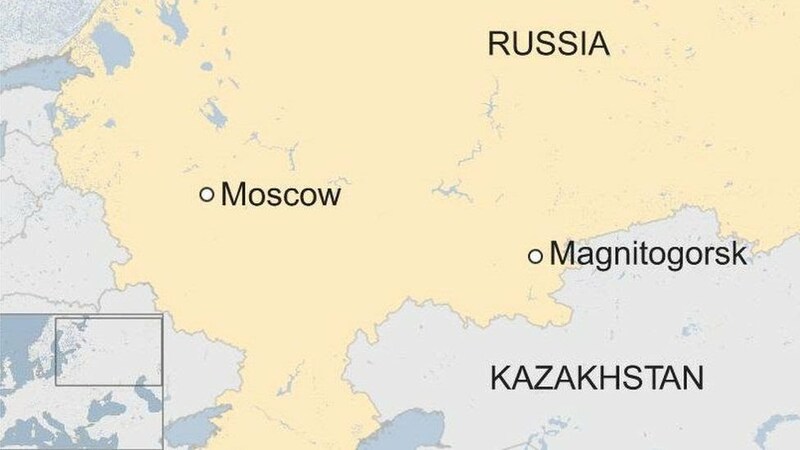 The city of Magnitogorsk is about 1,695km (1,053 miles) east of Moscow. A small van has ploughed into pedestrians celebrating the new year on one of Tokyo’s most famous streets. The man driving the car fled the scene but was later arrested by police for attempted murder. Nine people were injured, one seriously, by the attacker who struck in the Harajuku fashion district shortly after midnight. The street, which was sealed off to traffic, was packed with people heading to a shrine for New Year’s prayers. The 21-year-old driver of the van was identified as Kazuhiro Kusakabe. Police told broadcaster NHK that he initially told them he had conducted a terrorist act, but then later claimed it was related to executions. It was not clear if he was referring to a specific execution or capital punishment in general. Kyodo news agency cites investigative sources saying a tank of kerosene had been found in his car and that he had allegedly planned to burn down the vehicle. Takeshita Street in Shibuya ward is a popular shopping area known for its quirky fashion and youth culture. It also attracts international tourists in large numbers. Eight people were hit by the car with one of them, a male student in critical condition in hospital. A ninth person was assaulted by the driver after he got out of the vehicle.